After baby bottles warmed in microwaves were found to release BPA into infants’ milk, the chemical was banned from bottles by the European Union and Turkey, among other countries, in 2008. Canada had already banned BPA in bottles in 2007. Denmark has banned BPA in all baby food products, and the entire Japanese canning industry has replaced its BPA resin can liners. 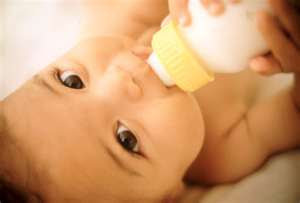 The U.S., however, still allows BPA in baby bottles, though Minnesota, Connecticut, Wisconsin, Washington, Maryland, Vermont and New York have enacted state-level regulations against it. Colorado is working on it.